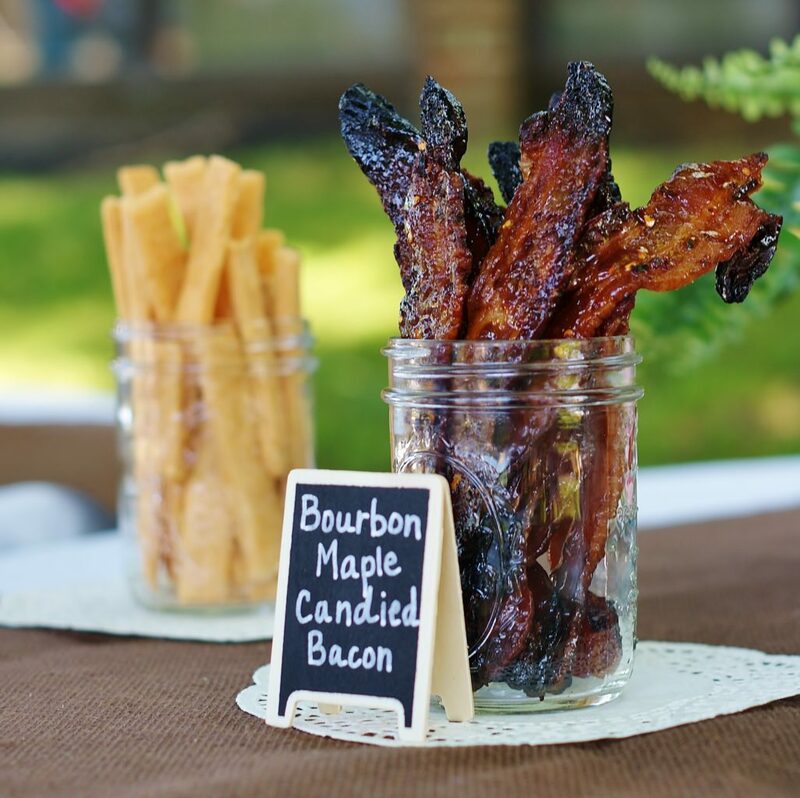 You asked for it, so here it is— our Bourbon Maple Candied Bacon recipe! 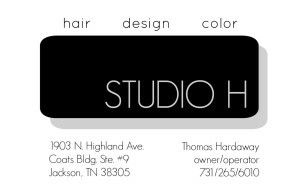 You heard me right. Bourbon + maple + bacon with just a little red pepper kick, all candied to a gorgeous perfection. If slow, sweet southern drawls ever had a flavor, they would taste just like this. 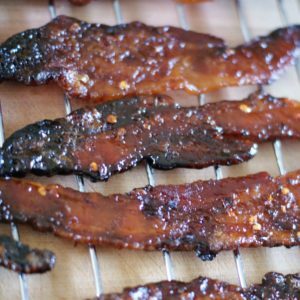 There are lots of candied bacon recipes on line, running the gambit from Emeril Lagasse to Clinton Kelly (both of whom I love), but this little recipe is straight from my kitchen and really isn’t all that hard to do. But you don’t have to tell anyone else that. Seriously. 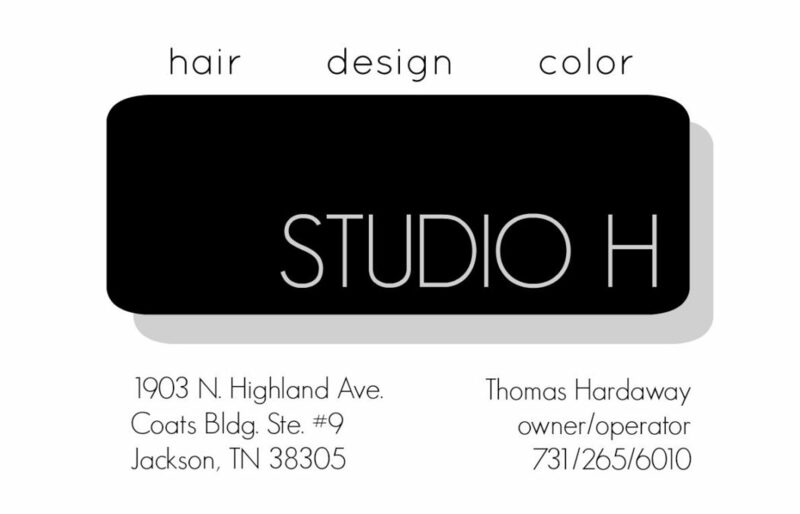 Just keep that little tidbit to yourself. And let your party guests think you are a culinary genius who works amazing bacony miracles that are otherwise nearly impossible to achieve. 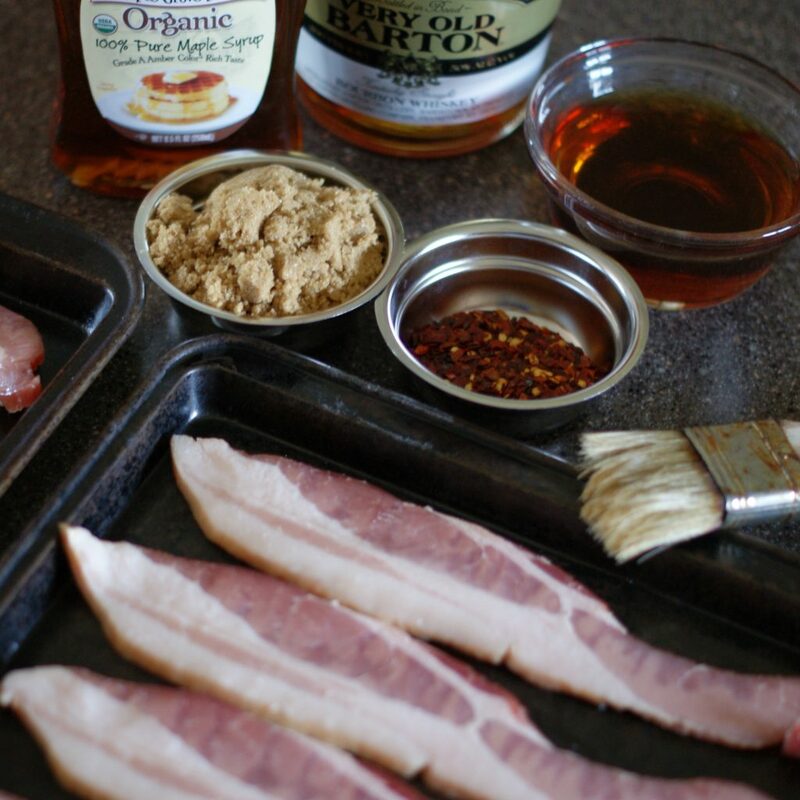 Brush healthy amounts of bourbon and maple syrup on the first side of each piece of bacon. Generously sprinkle on and pat down brown sugar into each piece. 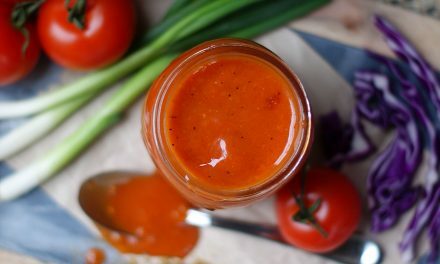 Don’t be shy; this is what will create your candied coating. Turn bacon over and repeat this process on the other side of the bacon. Lightly sprinkle the second side with red pepper flakes. Be careful. 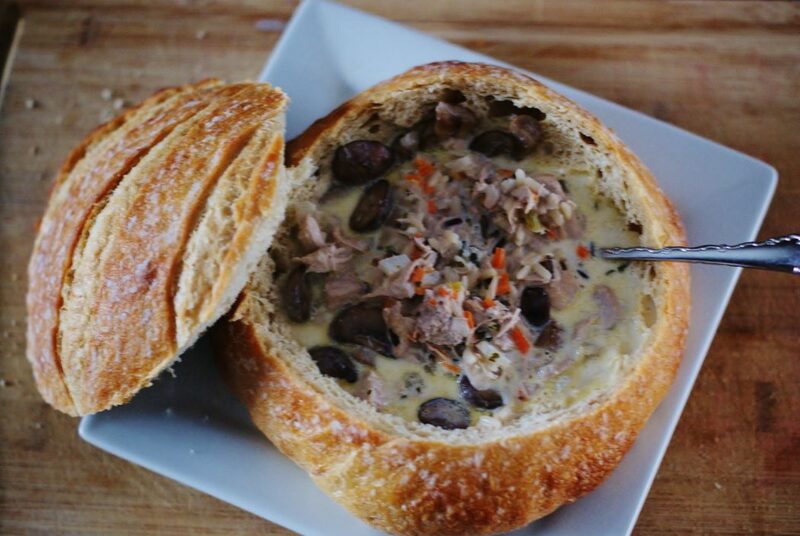 Just a few flakes can provide quite a quick, so adjust the amount to suit your and your guest’s tastes. 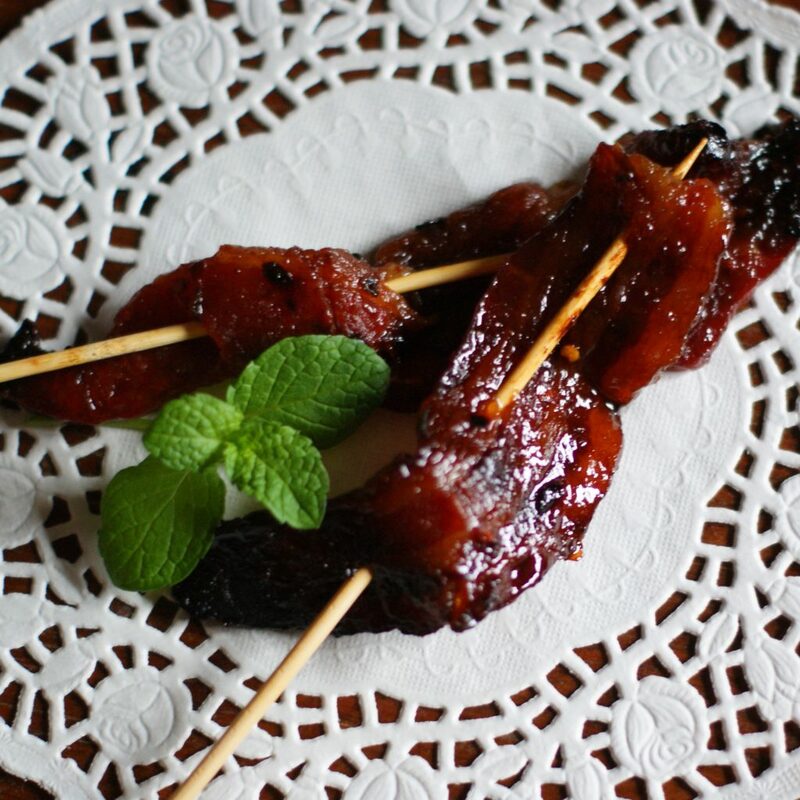 Combine any leftover bourbon, syrup, and brown sugar to baste the bacon with as it cooks. Bake in the oven for 20-30 minutes, turning the bacon over after the first 10-15 minutes. Baste the bacon with your bourbon/syrup mixture when you turn it over. Remove the bacon from the oven when the candied coating becomes shiny and the bacon has turned a lovely reddish brown color. 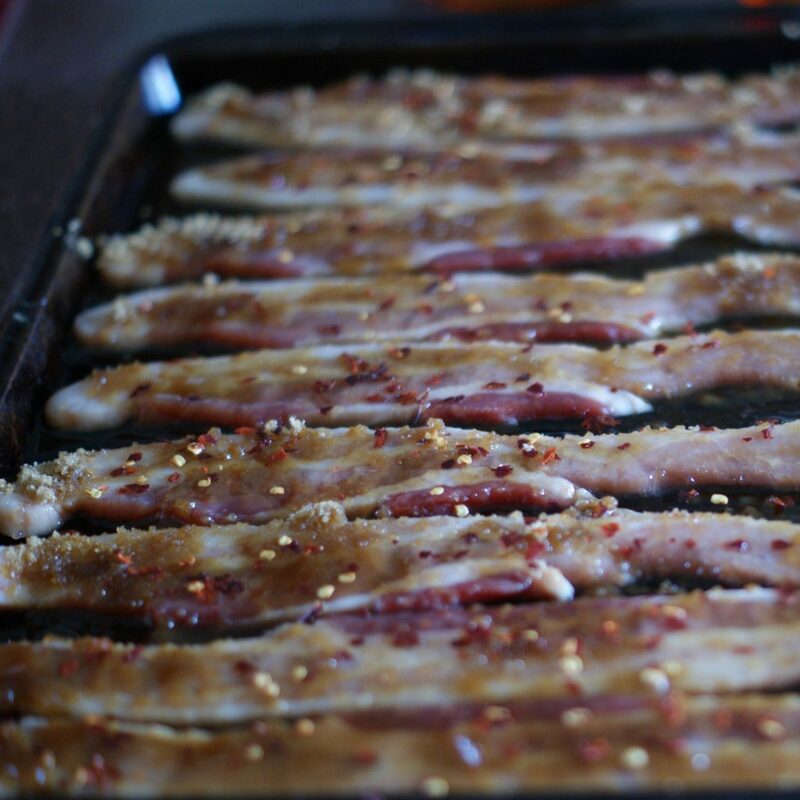 Remove bacon from the broiler pan almost immediately and cool on a cooling rack. 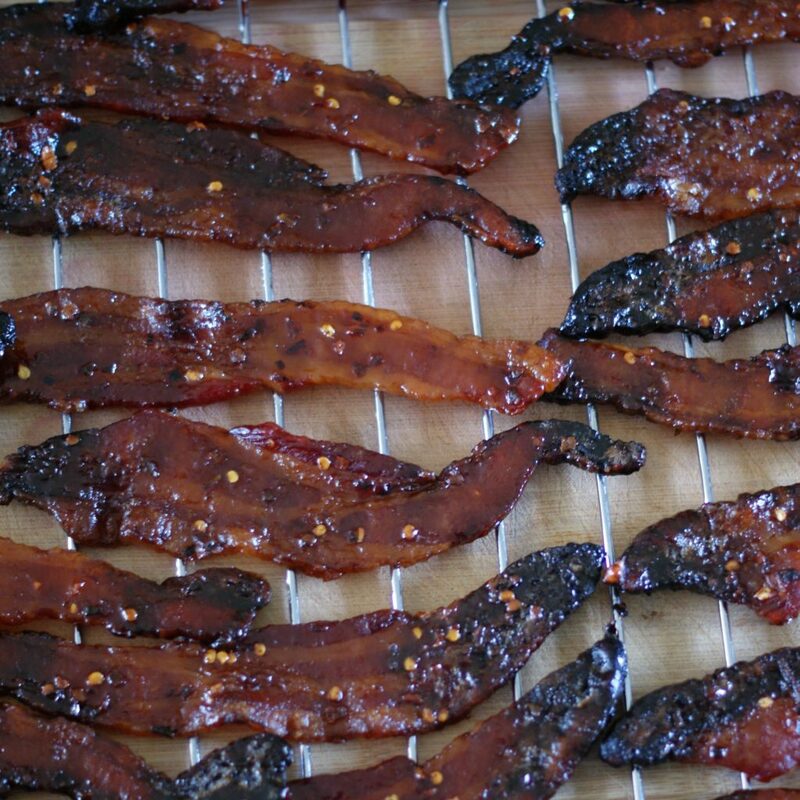 Adjust the bacon after 5 minutes or so just to keep the candy coating from setting up and sticking to the rack. 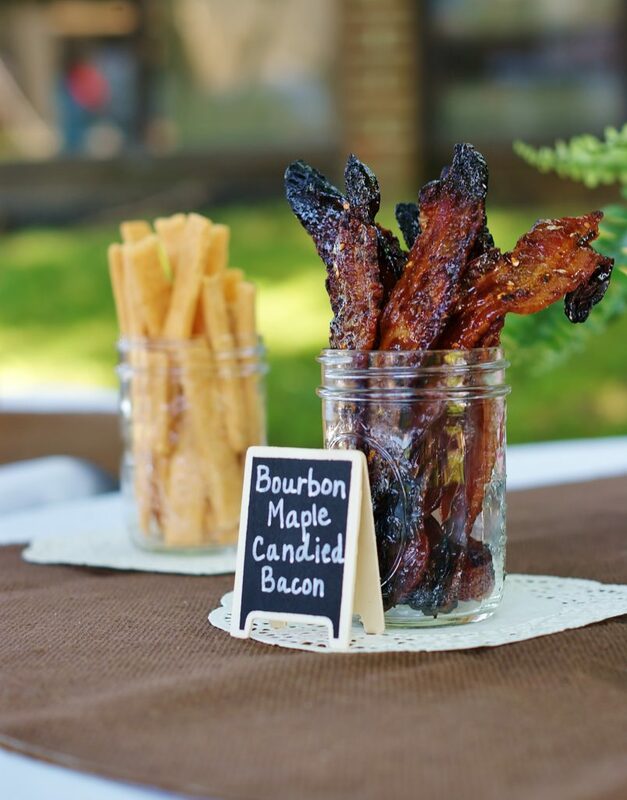 ASD Tip: I served this delectable bacon goodness in a mason jar, but threading it on a skewer while it is still warm (your candy coating will harden as it cools) is also a great way to serve this appetizer. 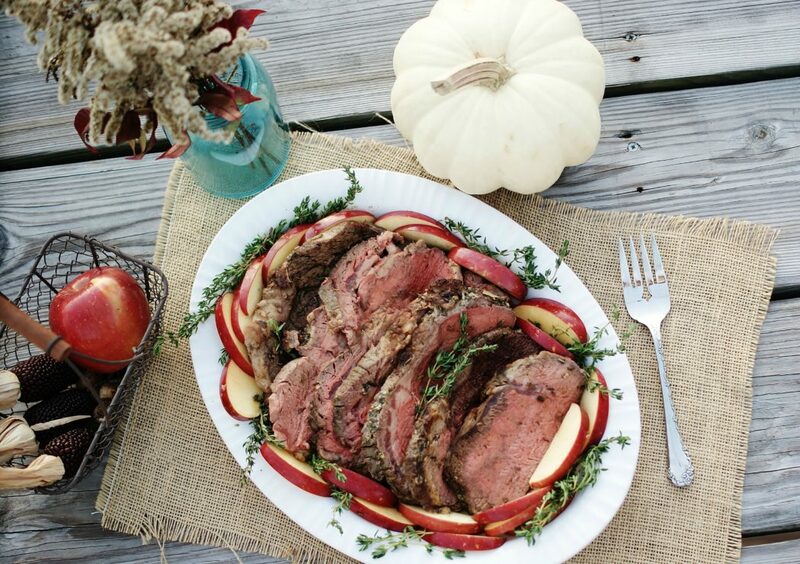 Since it can get somewhat sticky, your guests will appreciate having a skewer to hold as they nibble this bit of heaven. Depending on your crowd and their appetites, you might also consider slicing your bacon in half, creating shorter pieces of bacon for your guests to munch. Want more bacon recipes? Then you don’t want to miss these Elvis Ice Cream Sandwiches! 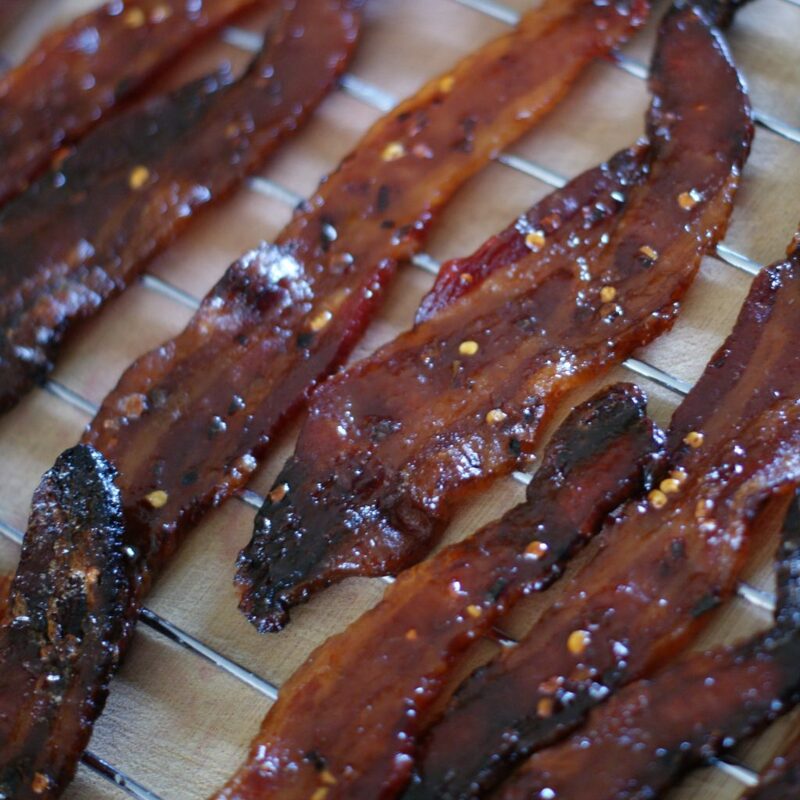 Bourbon + maple + bacon with just a little red pepper kick, all candied to a gorgeous perfection. 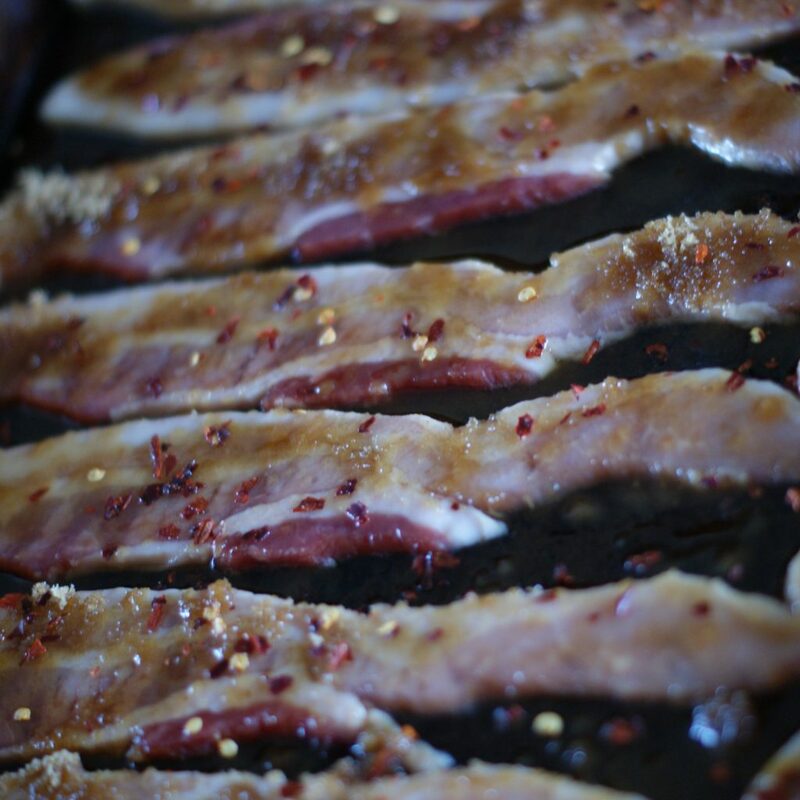 Arrange bacon on a broiler pan so that the pieces don’t touch or overlap. Generously sprinkle on and pat down brown sugar into each piece. Turn bacon over and repeat this process on the other side. Lightly sprinkle the second side with red pepper flakes. Bake in the oven for 20-30 minutes, turning the bacon over after the first 10-15 minutes and basting with your bourbon/syrup mixture. 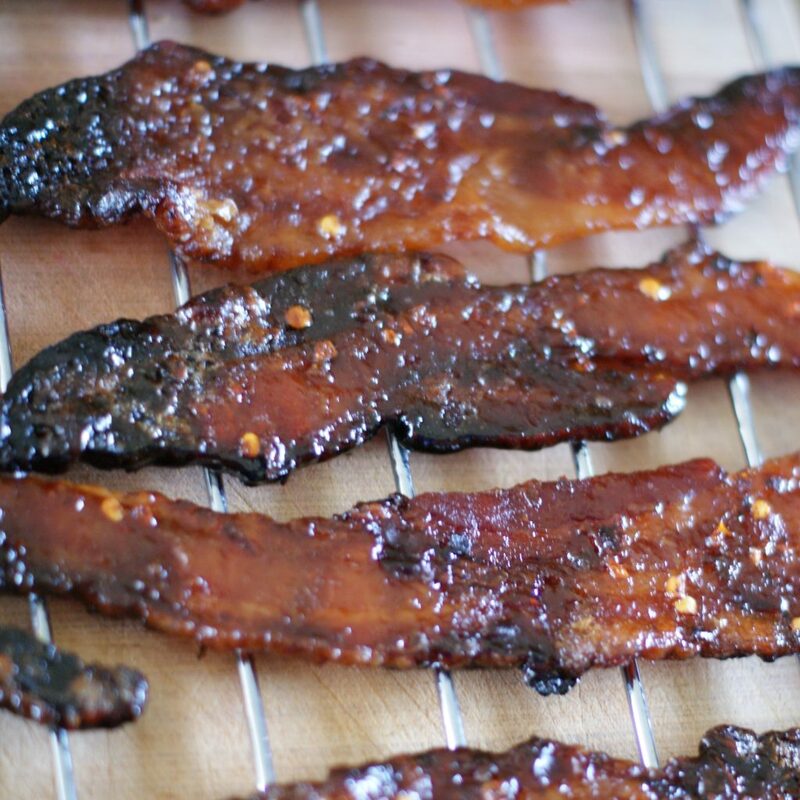 Remove the bacon from the oven when the candied coating becomes shiny and the bacon has turned a reddish brown color. 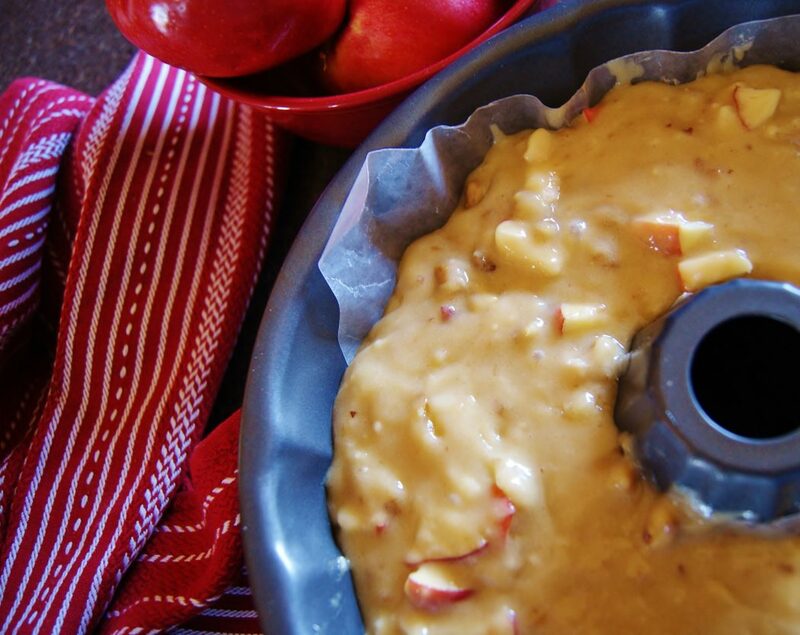 Remove bacon from the broiler pan almost immediately and cool on a cooling rack. Adjust the bacon after 5 minutes or so until completely cooled to keep the candy coating from setting up and sticking to the rack. Thick sliced bacon works best! 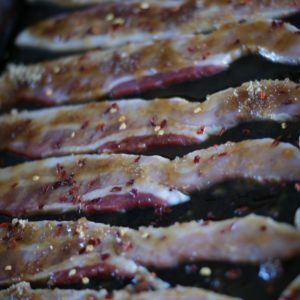 Depending on your guests, slicing the bacon in half right across the middle might make better appetizer-sized servings.